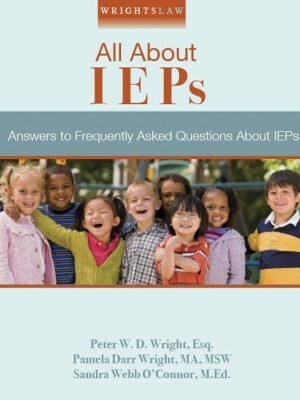 Can my child’s IEP include supplementary aids and services for extracurricular activities and after-school programs? We receive many questions from parents about extracurricular activities, after school clubs, and sports. The schools tell parents they are not required to provide assistance for these activities since they occur after school, take place off the school grounds, or do not involve academics. Minnesota parents of a 5th grader with autism requested that the IEP team consider supplementary aids and services to enable their daughter to participate in volleyball and after-school clubs. When the school district refused, the parents filed a complaint with the Minnesota DOE. 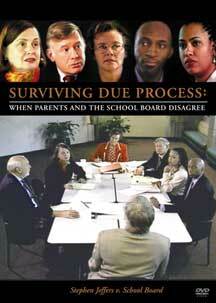 DOE concluded that the school district violated IDEA. The Department ordered the school district to convene the IEP team to discuss any appropriate supplementary aids and services needed in the IEP to allow the student to participate in these activities. 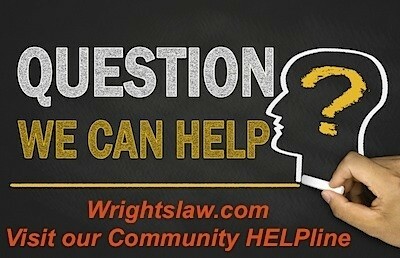 The school district appealed and the appeals court held that IDEA requires an IEP team to consider whether an extracurricular and nonacademic activity is appropriate for the student. The school must provide the necessary aids and services for participation, but only if the activities are required for the education of the child. 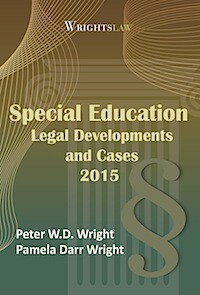 The Supreme Court of Minnesota reviewed the case to determine whether “the IDEA regulations limit the extracurricular and nonacademic activities included in an IEP to only those “required for the education” of disabled students. The court held that the IDEA regulations contain no such limit. Since IDEA does not define “extracurricular and nonacademic activities” the Court turned to the federal regulations for specific language. 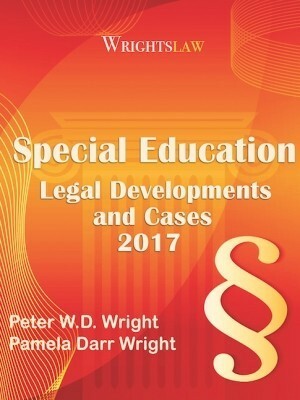 The Supreme Court refused “to limit extracurricular and nonacademic activities to those required only to educate the disabled student” because it would be adding or reading words into the plain language of the federal IDEA regulations. The Court also held that the appeals court ruling violated the “equal opportunity” for participation in extracurricular and nonacademic activities required by the federal regulations. 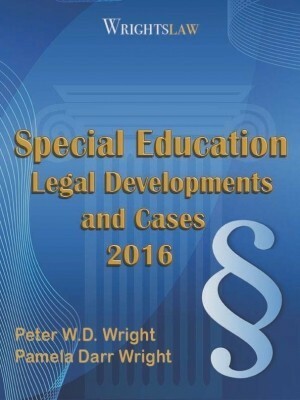 This entry was posted in IEPs, Special Ed Law, Supplementary Aids and Services and tagged caselaw, Extracurricular and Nonacademic activities, IEPs, Supplementary aids and services by Wrightslaw. Bookmark the permalink. As an employee of a before and after school program, we have recently been tasked with the care of special needs children who have emotional and behavioral disabilities, along with physically disabled students who require assistance with toileting and medical issues. These children are receiving 1:1 services with a paraprofessional or nurse para during the school day, but the school is not providing them 1:1 paras in our before and after school program. We are not trained as paras. Can the school do this? I’m not comfortable with being responsible for students who’s emotional and physical needs may not be adequately met. 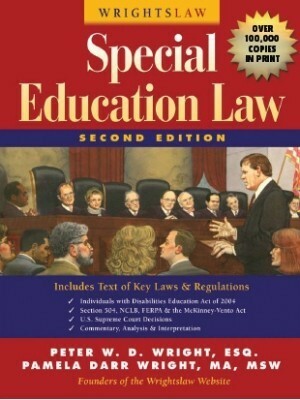 It is the law that if a special education student goes on a school sponsored outing then a special education staff member, that works with the student, must go with the student on the outing. I can’t find anything stating this. Can you point me to where this is stated in the Texas Law? While this would be best practice, there is nothing in TX law or regulations that say this must be done. My son has CP and uses a power chair, attends regular classroom, and is a freshman in hs. His passion is sports broadcasting and he has gained much success on his own the last 2 years and as the PA announcer at his JH. His IEP calls for a 1:1 aide during school and for after school activities. The school had allowed him to announce a couple of teams in the fall but didn’t provide a dedicated aide because they couldn’t find one. The new season is about to begin and now they say they won’t provide one because not all students are given the opportunity to be announcers at games. They say it is not an official extracurricular. However, they will give him an aide if he wants to be a spectator, be an athletic trainer(physically can’t) or team manager. This is not his interest…his IEP and transition plan mention broadcasting. Thoughts?? The school district sponsors ‘school age care’ during the summer for all students of the district. All parents pay a fee for the service. Would this program, be considered extra curricular? If so, would the district be required to provide supplementary aides and services for a child with special needs to participate? (parent willing to pay the same fees as required of all participants). What about field trips? Our son needs us to attend a field trip (doctor’s orders) due to anxiety, Aspergers, and other medical issues. The school says we are not allowed to go and, therefore, our son cannot go. Can they refuse to let him go because he needs additional support? ABSOLUTLEY NOT!!!! Your child has just as much right to go on field trips. The fact that the school would deny you son field trips is appalling. They should have staff that can assist your son. This is dying him a FAPE. Find out why the school is saying because you can’t go your son can’t go. My daughter want to be on the varsity drill team but is a little slower than her peers, they never pick her or anyone who does not meet the requirments as their peers. She has some disabilities in speech and just a little slower but can learn all routines and dances, she need extra help and the school and school distrist will not give her extra help to learn and keep up with the other drill team girls. It is a very hard struggle with no help from the school. What can we do, tryouts are this weekend, May 4th 2013. If a kid is failing in school–why should he be allowed to play sports? For me, this is not logical. My child has an IEP, plays several competitive sports–if he does not keep up his grades–he does not play. Recently, the team met to discuss his struggles in one of his classes. They helped him with study strategies and modified some of the work–as needed. If a child is failing, should the PPT team, parents and child meet to look at adequate progress, IEP goals, etc…instead of just focusing on the sports? If the goal is progress–why should a failing student play sports. I would never allow my child to play if with failing grades. 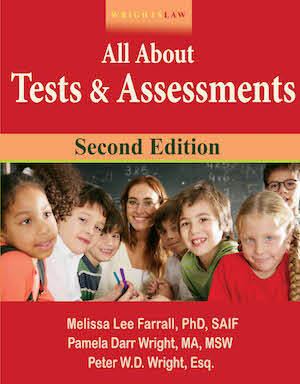 My son, school and I would review his deficits, study strategies and accomodations. He has to earn the grades to play. He loves sports and that motivates him to achieve. Each child is unique. 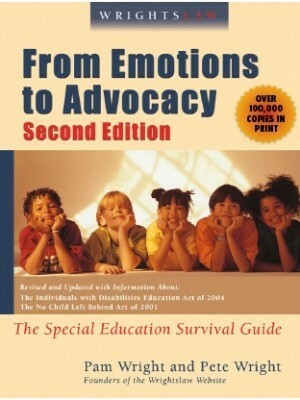 My situation is somewhat different as the district vouchers (agency gets the money) my child to a state agency who provides deaf/blind services. To say our relationship has been rocky is a bit of an understatement. My child needs an interpreter to access after school programs. A great after school program is being offered to the whole school. The “agency” is thinking about whether to accommodate or not. The “district” is working on it. It is so frustrating to not have one entity which can make the accommodation. Every request practically requires “an act of congress”. My child seems to be in “no where” land. The program has started and it now looks like I will have to pay for an interpreter out of pocket (at least for a time). Her educational interpreter said she would be happy to do it. Thoughts? My 6-year old, first grade son has been diagnosed with mild CP and is in the second year of an IEP in his public school. He has not been diagnosed with ADD or ADHD, but has started to show some signs of one or the other in his daily school routine now. Because he is not making the kind of progress my wife and I would like to see (academically and with his OT and PT goals), we recently decided to enroll him in a martial arts class (karate). We believe the extra work he is getting with karate is starting to make a difference (there is a big emphasis on “focusing” in karate). Do you think this is something we could add to the IEP when we meet with the team again in January? If so, is the school required to pick up the added expense? (It’s $159/month). Cynthia, The parent IS a member of the IEP team. 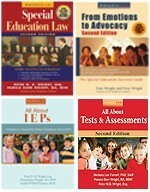 Please reconsider wording the following phrase in your article: “The IEP team must determine which activities are appropriate and include them in the IEP.” as the ruling specifically states that it is the parent and the student’s right to decide which activities are appropriate and NOT the IEP team. The IEP team is charged with the responsibility for defining which supports and aides are required in order to enable access and participation. It does not have the duty nor the right to decide whether or not volleyball was appropriate for this child. The statement in your article is misleading. Thank you for considering clarifying. I agree. When schools encourage kids to participate in sports and other extra-curricular activities, even if their grades are not good, this can be the key to keeping the child in school. Pete was not a good student in K-12 but he excelled in sports and he was “All New England” in football and track. If he wasn’t allowed to participate in sports because his grades were poor, he would have dropped out. No Pete Wright, Esq. It can be vitally important for students with disabilities to participate in sports and other extracurricular activities. 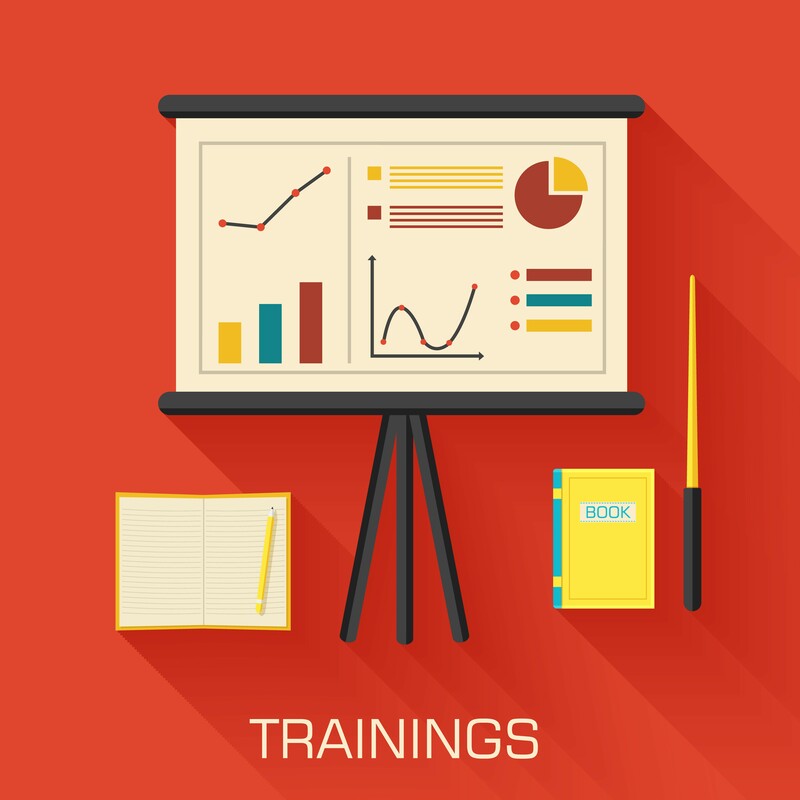 In some cases, these may be the very areas where they can excel. This increases incentive to attend school. The mentorship of a coach can also help students translate their successes to the classroom. Even in cases where a school has grade requirements for participation, a student who is failing classes due to a disability should not be excluded from activities for which s/he is otherwise qualified. I have worked with several schools that have built into IEP’s accommodations that allow for the student to participate despite low grades. In every case, the inclusion motivated the student to invest more in the classroom. The support and acceptance fuel success across the board.